August 28, 2013 2 Comments on Success Downunder! Last week, Ben and I traveled to Australia, where we met with a variety of business-building individuals who are going to help ‘pump up the volume’ in the gorgeous AU! We stayed in a stunning hotel that was converted from a 100 year-old wharf building. 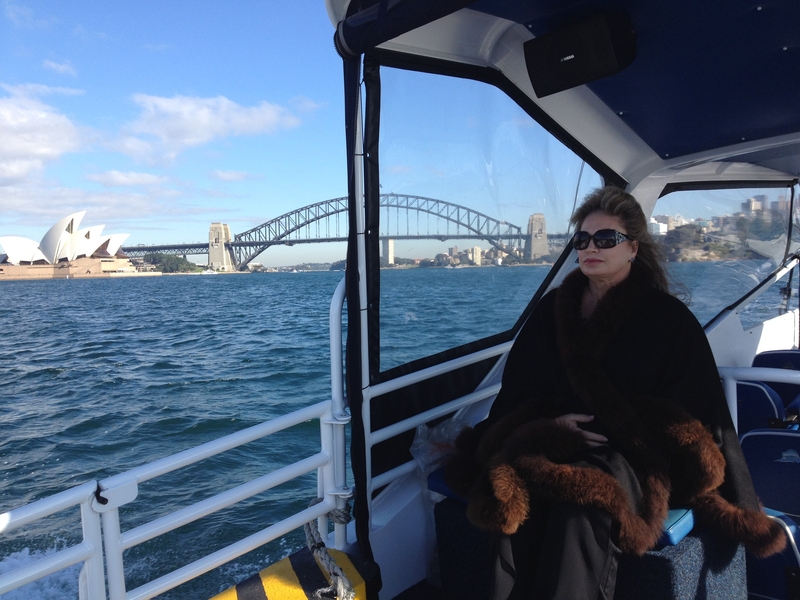 The views of the Sydney Skyline were breathtaking. And then, there was our daily water taxi ride to and from our hotel. What a fun way to travel! While there, I had the pleasure of working closely with Australian Distributor, Royal Rhonda Renkert. 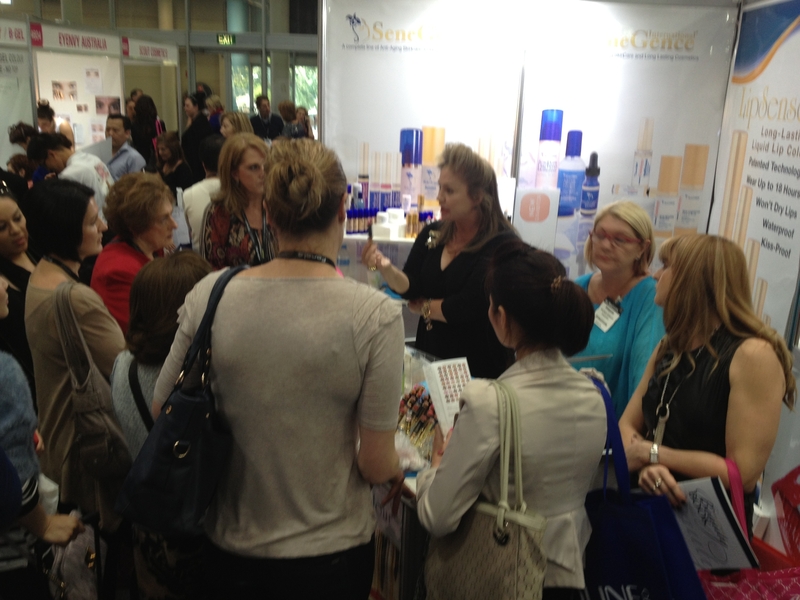 We worked a booth together at a beauty expo, sharing SeneGence products with hundreds of interested women. 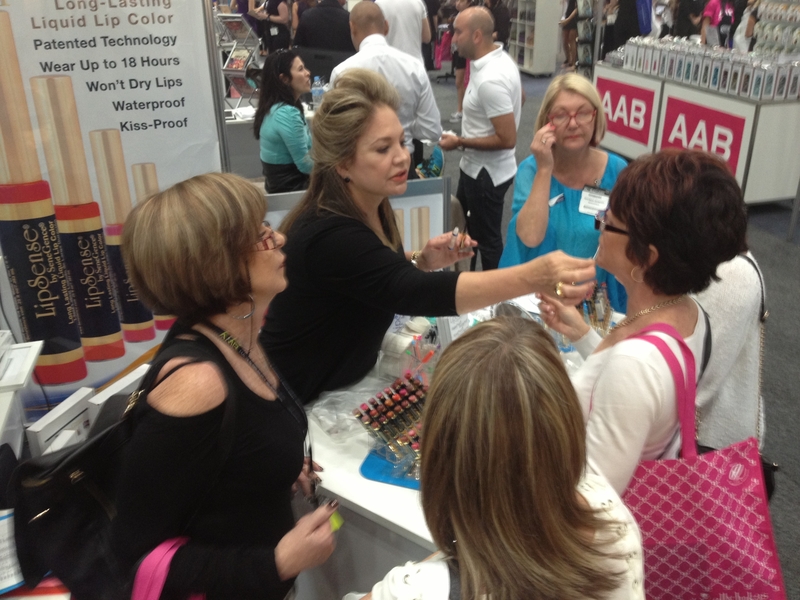 As usual, the SeneGence booth was absolutely mobbed with ladies wanting to see the long-lasting properties of LipSense and SenseCosmetics. 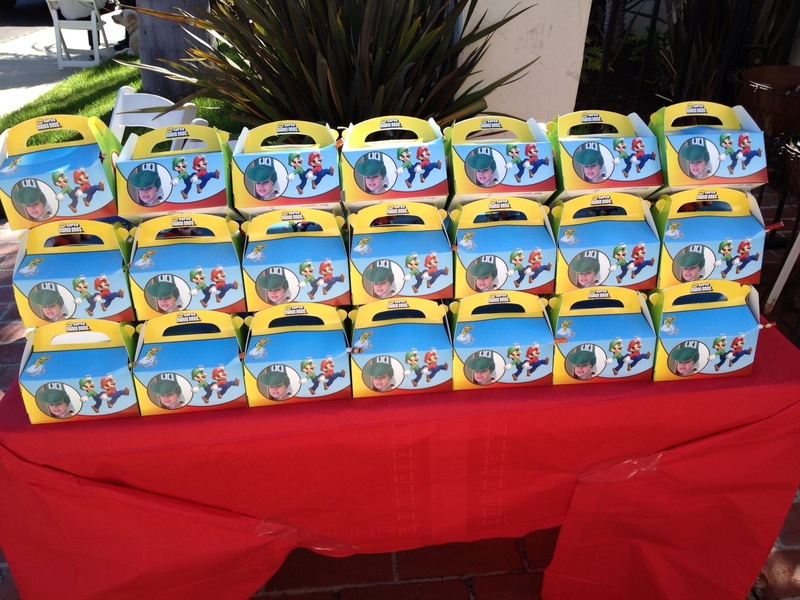 We had 18 newbies sign up as Distributors in just the first day alone! The moisturizing LipSense Glosses with Shea Butter were also big WOW products, as always, when ladies felt just how smooth and replenished their lips were with just a few glides of the rich formula. The Aussie trip was very successful, as we were able to share SeneGence products and a career that really work with many people. In total, we had 27 women sign up with SeneGence as new Distributors! It was a pleasure to meet them and welcome them into the SeneGence family personally. Do you live or do you know someone who lives in one of the countries where SeneGence is present? SeneGence Distributors are now active selling our anti-aging and long-lasting cosmetics and skin care in 9 countries/regions, including: The United States, Australia, Canada, The U.K., Switzerland, Italy, Poland, Brazil, and Indonesia. And we are ever expanding! Join us on this incredible adventure. Become a part of this internationally successful company today, and know that not only will you be a part of this booming worldwide success, but you will also be welcomed into a family-like company culture, where we do all we can to lift each other up with success. Until next time, my Lovelies, choose to live life in love and abundance…then work for it! August 13, 2013 1 Comment on Mario Brothers Birthday Bash! My husband Ben and I wanted to make William feel very special on his big day. So, we really ran with the Mario Brothers theme. 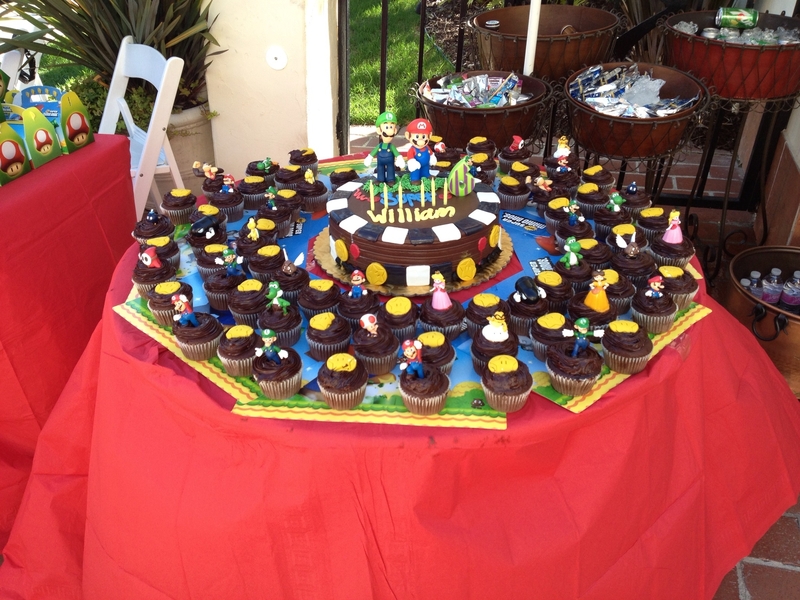 Here is his birthday cake and cupcakes- chocolate delights decked out with Mario and Luigi toy characters, and his cake reads “Super William!” He was so thrilled and excited to see his favorite characters covering his cake. 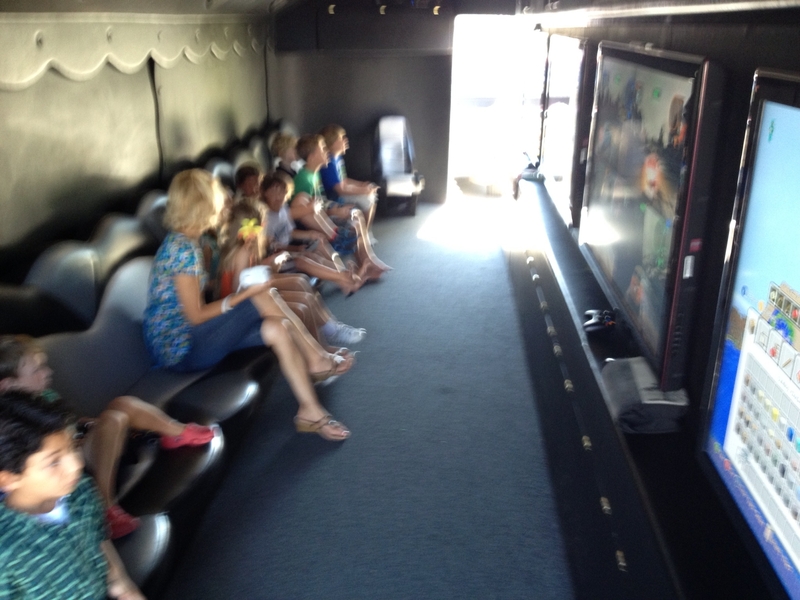 Here’s a look at the inside of the “Extreme” gaming truck, complete with big screens, games, and comfortable seating. It was enjoyed by all the boys and girls (and even some of the parents!). 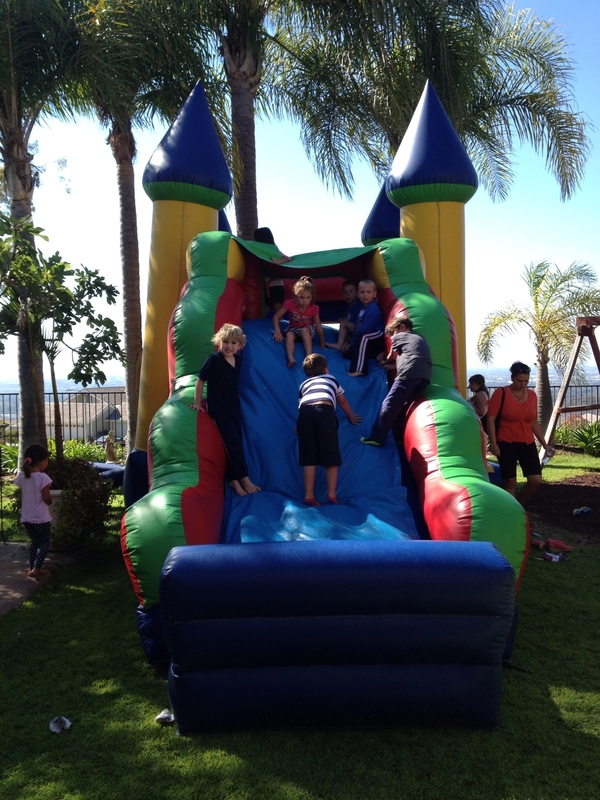 In the backyard, we had a bounce house set up for the kids to hop around to their hearts’ content- a great way for them to get some of their sugar rush out from those chocolate cupcakes 🙂 Here’s William on the left climbing and sliding with his friends. The day after the party, we had so much leftover food! 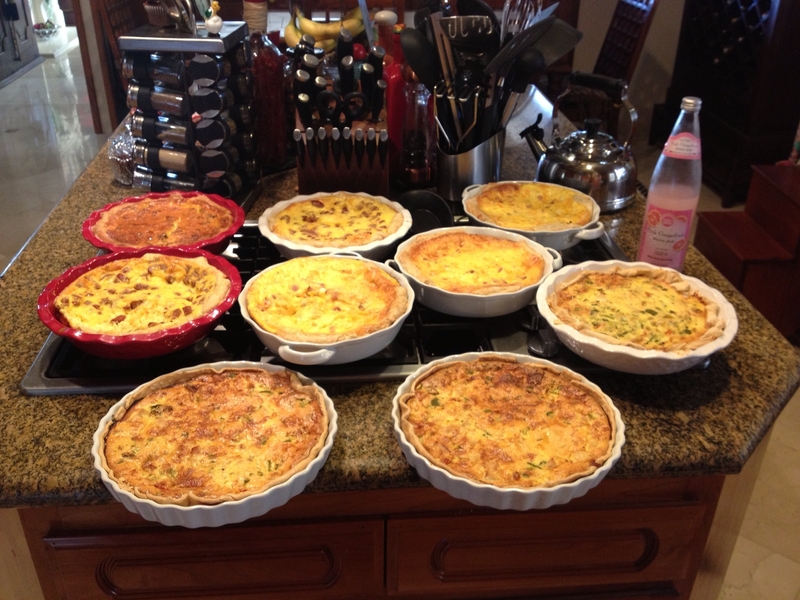 I hate to see food go to waste, so I made 9 delicious quiches from the leftover meats and cheeses. I will freeze some of these wholesome homemade dishes to pull out later for guests. 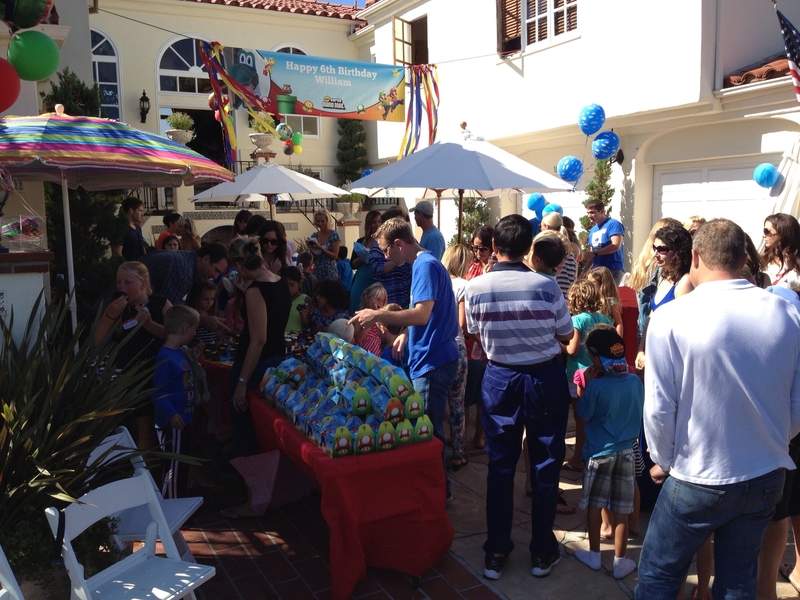 The party was a huge success and William had a fantastic time with his friends. It is so wonderful and fulfilling being able to see him grow up. I know every parent would love the opportunity to be able to provide for their child and simultaneously be there for all of the milestone moments. It can be difficult to give your family the quality of life they deserve and at the same time, be there to enjoy it. SeneGence provides you with a career opportunity that can offer just that. Those of us who join in this business can set our own hours, build our businesses towards attainable goals, and be there for life’s moments. I would personally like to welcome you when you decide to join. Remember…you can choose to live your life in love and abundance, and work for it with a fulfilling SeneGence career! Hello my lovelies! There has been so much excitement and action within the SeneGence family lately, I’m just now catching my breath to tell you about it! Just last week, I returned from the SeneStar trip to Alaska, and what an incredible trip it was. 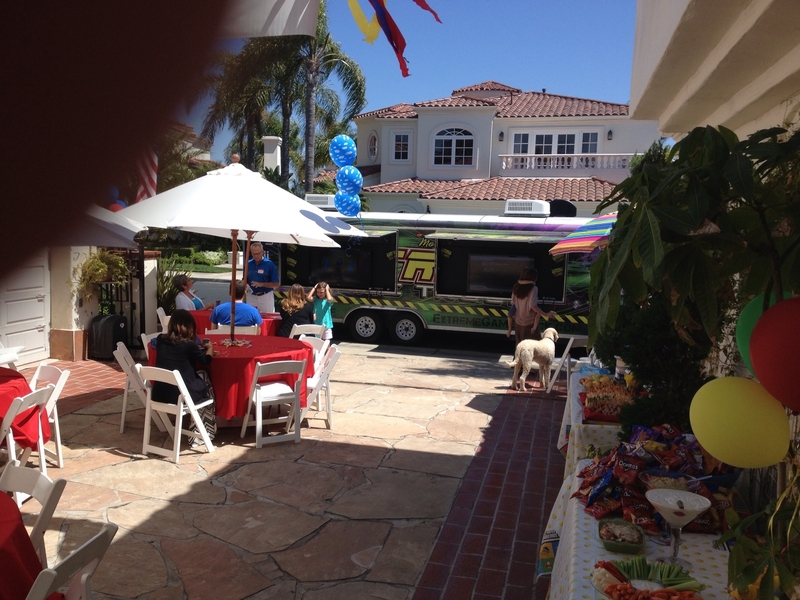 Ben, William, and I were joined by several Distributors and their families for this adventure. 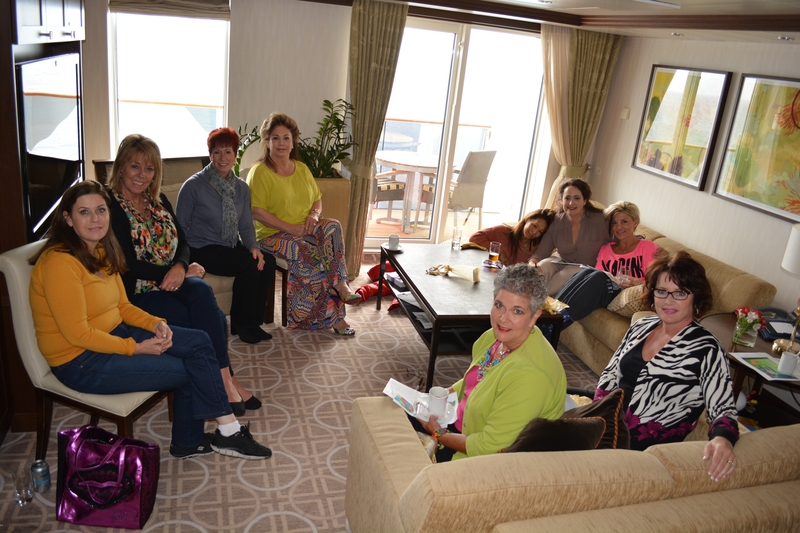 Karole Lewis, Leanne Avant, Carol Clifton, Renee Stewart, Leta Greene, Lisa Johnson, and Sheila Young earned this trip for themselves and their families through their impressive sales and sponsoring efforts within their SeneGence businesses. The amazing prizes, trips, and rewards that are offered to you as a SeneGence Distributor are so attainable…if you work for them. The ship itself was absolutely gorgeous. We cruised with Celebrity in style and luxury. We even had our own meeting space to comfortably brainstorm leadership and business ideas. It was so inspiring being around these SeneGence leaders and listening to their ideas, goals, and dreams. 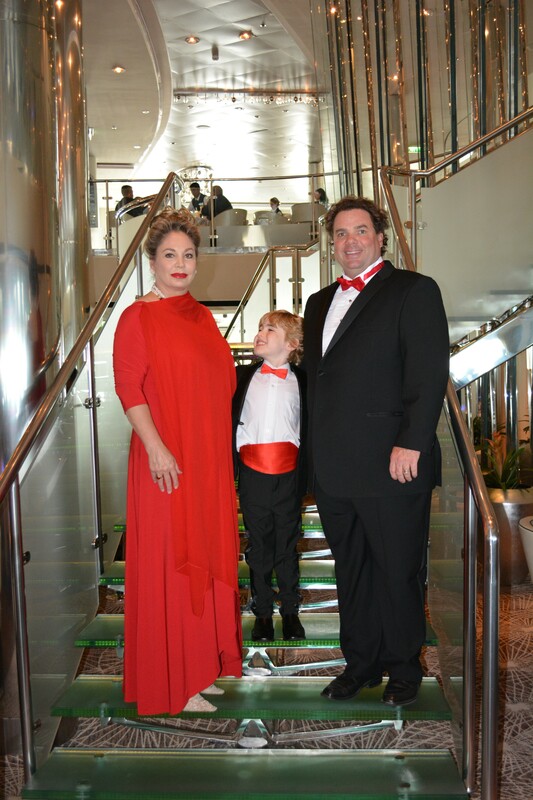 Then there were the many incredible dinners aboard the ship, and thus opportunities to dress up! Here are Ben, William and myself on one of the formal nights. I was able to perfectly match my red gown to my lips with Blu-Red LipSense. Our collection of over 50 LipSense colors is really every woman’s dream…you’ll never be wanting of a color to match your outfit with so much LipSense variety! The ship docked in “Alaska’s first city”, Ketchikan, where we were able to fully absorb the Alaskan culture, wild life, and scenery. 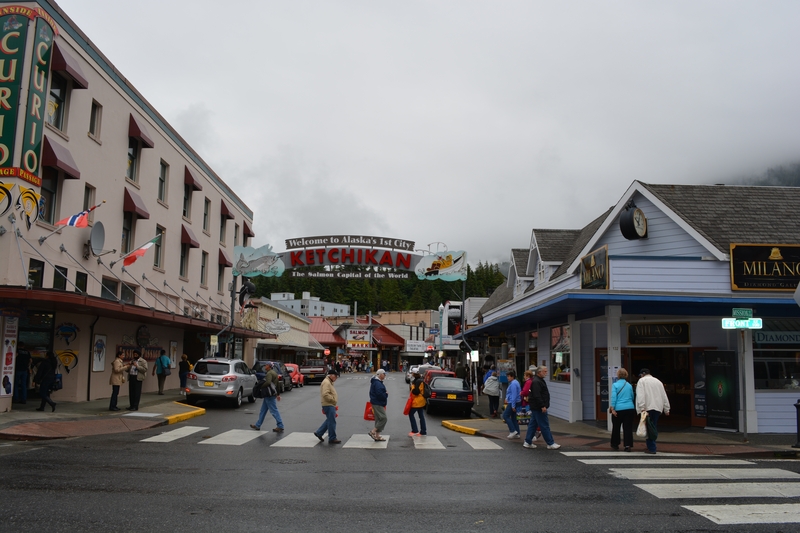 Ketchikan is a gorgeous city with a charming small-town feel. It’s surrounded by beautiful trees, and the people are so warm and welcoming. 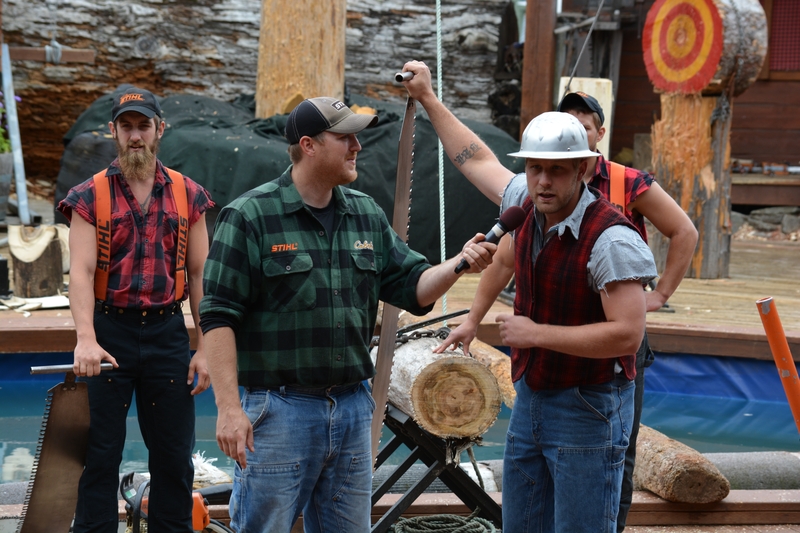 One of the activities we did in Ketchikan was seeing a lumberjack show! We were able to watch these skilled men do what they do best- chop, cut, and saw! We were also able to experience and see the native Alaskan culture. 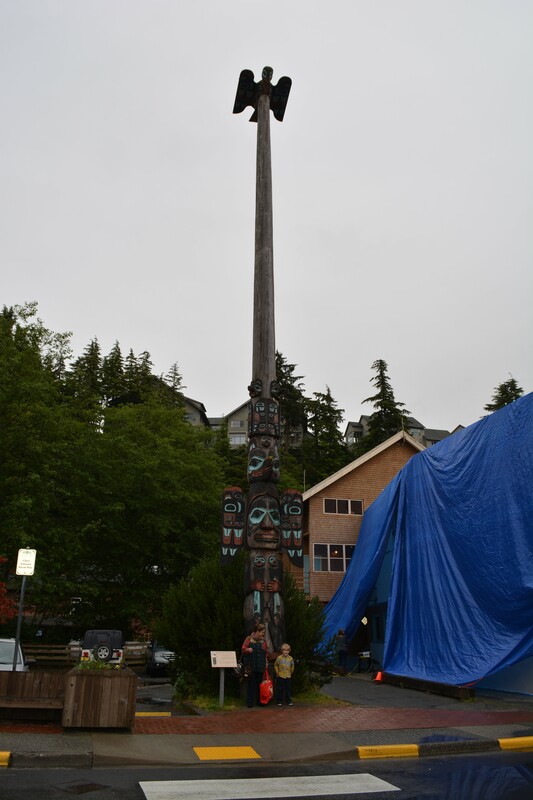 With over 80 Native American Totem Poles located in Ketchikan, it seemed you couldn’t go a few blocks without seeing one of these masterpieces. Here are William and I next to an exceptionally tall one; you can really get a sense of the scale of this giant piece of art! 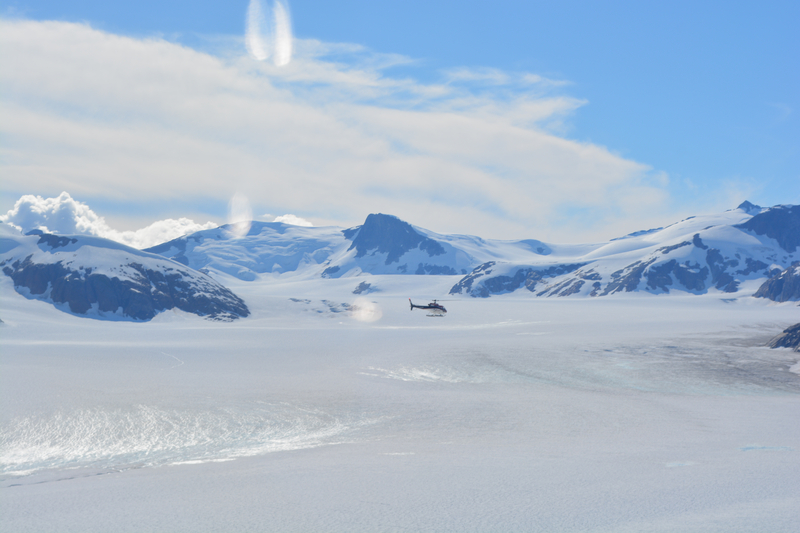 Back on the ship, we got a close up view of this stunning glacier. It was incredible to see a body of water that appeared to be frozen in time, literally a wall of ice rising up from the liquid water. The adventures didn’t end there! 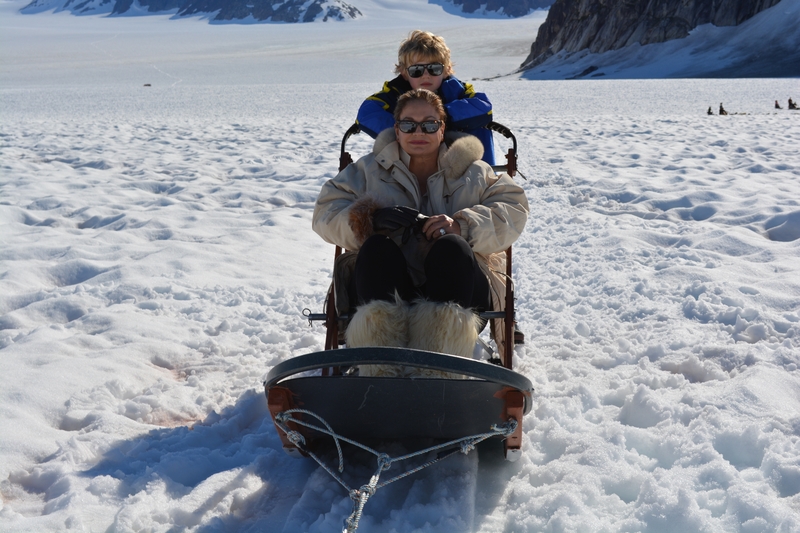 We took a helicopter ride over the snowy mountains to go dog-sledding (a traditional Alaskan sport), on the glacier! It was very chilly, as evidenced by our bundled-up clothing, but breathtakingly beautiful. From the above-ground views to the ground-level, the beauty was never ending. On another day, we did an excursion down a river to take in all the wild life. I’ve never seen so many bald eagles in my life! 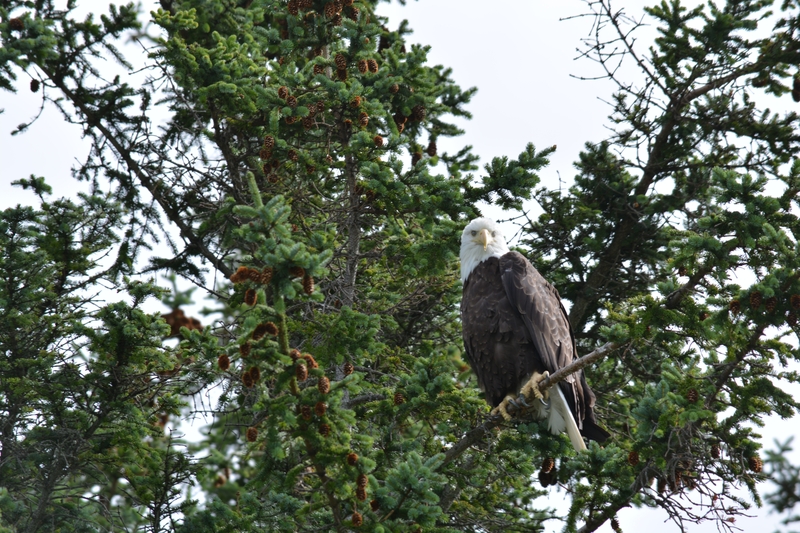 These gorgeous birds seem to fill the skies and the trees in Alaska, and it was an amazing site to see in person. 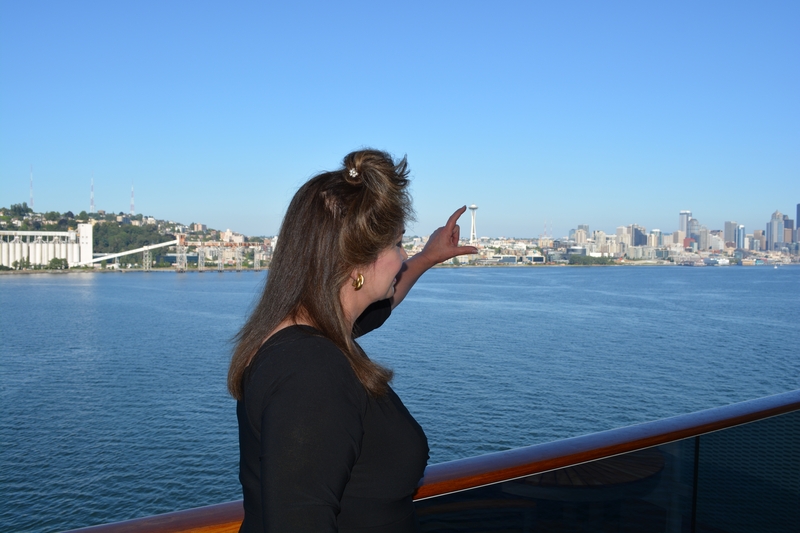 Towards the end of the cruise, we spent a lovely day in Victoria, Canada, where we signed the new Royal Baby’s book, had afternoon high-tea, and enjoyed the beautiful city. 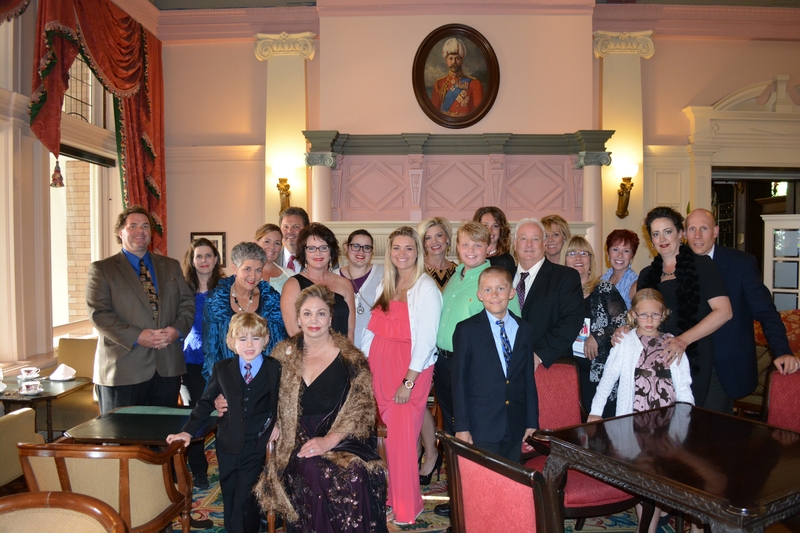 Here is the group, dressed to impress in the tea room. 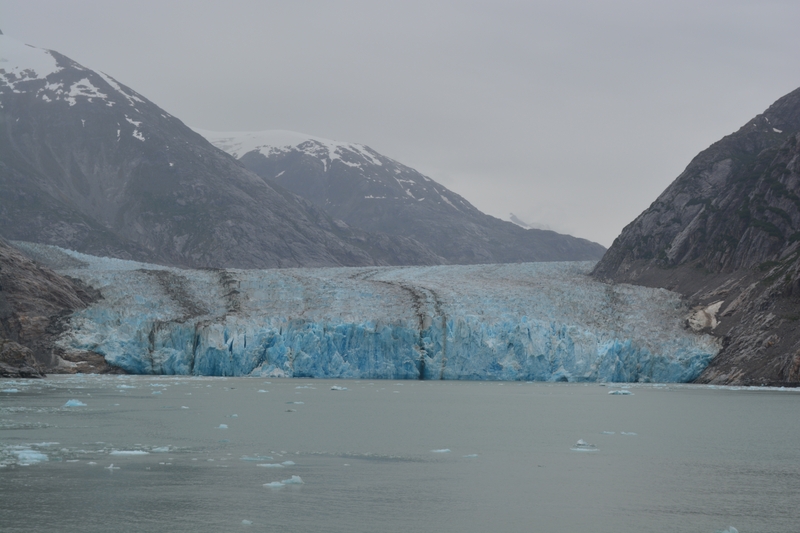 The Alaskan Cruise was one of the best SeneStar Trips yet. Attending Distributors were pampered in luxury, enjoyed first-class adventures, and basked in the beauty of the natural surroundings. The next SeneGence SeneStar trip will be to tropical Puerto Rico, and I would love to have you accompany me to “The Island of Enchantment.”Join the SeneGence family and see how attainable these rewards are with our compensation plan, the most lucrative and rewarding one in the Direct Selling Industry. Currently I am back in California…but not for long. 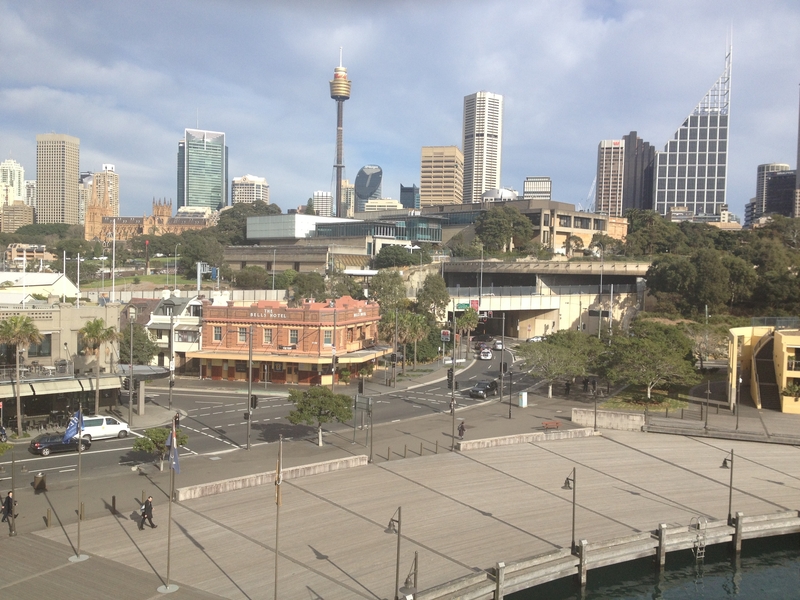 Later this month I will be traveling to Australia to hold a Distributor training in Sydney. I can’t wait to see our Australian business builders and work with them to grow SeneGence Australia. Until next time…remember to live your life in love and abundance, and then work for it!